Join us for a reception recognizing our 2019 graduates. 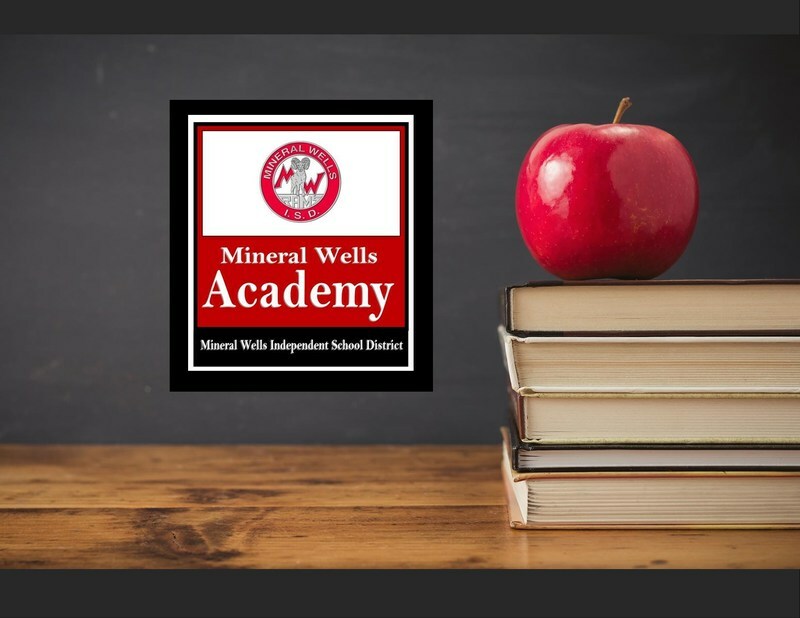 Welcome to the Mineral Wells Academy! The Mineral Wells Academy has a deeply rooted belief that every student desires and deserves to achieve their greatest potential. The Academy is an online alternative educational program for high school age students that offers self-paced, individualized and assisted academic instruction. The primary mission and vision of the academy is providing an opportunity to graduate on time and prevention of a potential dropout situation. Students attend the Academy for a variety of reasons. Although on-time graduation and drop out prevention are main concerns, there are other extenuating circumstances that receive special consideration for entry into the Academy. Successful STAAR testing history is a major contributing factor prior to entry into the Academy. The Academy empowers students to take responsibility for their own education by setting their own academic goals with direction from a guidance counselor. The educational format, with its individualized instruction and flexible scheduling, provides numerous opportunities to achieve a high school diploma or a Texas Certificate of High School Equivalency (GED). Our team knows many students face challenges in their lives. But, once students have the support they need, they perform exceedingly well. By meeting every student where they are—with an eye on where they want to go—the Academy changes lives one student at a time.